While 91% of children around the world attend primary school, only 50% of refugee children even have access to education. Education is especially crucial for helping refugees create stable and healthy lives as they rebuild their communities. The Klosters Forum strives to link the next generation of corporate leaders with smaller scale humanitarian and non-profit groups so that these new voices can bring their significant and exceptional professional skills and experience to mentor and collaborate in new, direct and impactful ways. At the reception, Co-Founder of the Klosters Forum Mariam Azarm discussed how to raise awareness for philanthropic endeavors, such as bringing education opportunities to refugees and create actionable change. Mariam brings a great deal of experience to The Klosters Forum as she is currently a consultant at The World Economic Forum, and has worked as an international events and conference manager with the United Nations for 25+ years. Several renowned guests joined in the dialogue on how to work with nonprofit groups to benefit education efforts around the world. Speakers included Dr. Golbarg Bashi, Feminist Scholar & Social Entrepreneur of Columbia University, Dayle Haddon, Founder of WomenOne, Avinash Kaza, Co-Founder & CEO of Upswell, Mari Malek, Model/DJ and Actress, William A. Mundell, Chairman of IKM, James Rasteh, Founder of Coast Capital, Dan Thomas, Spokesperson for the President of the United Nations, Mona Khalil, Legal Advisor of Independent Diplomat, and Brett Hickey, Founder & CEO of Star Mountain Capital. 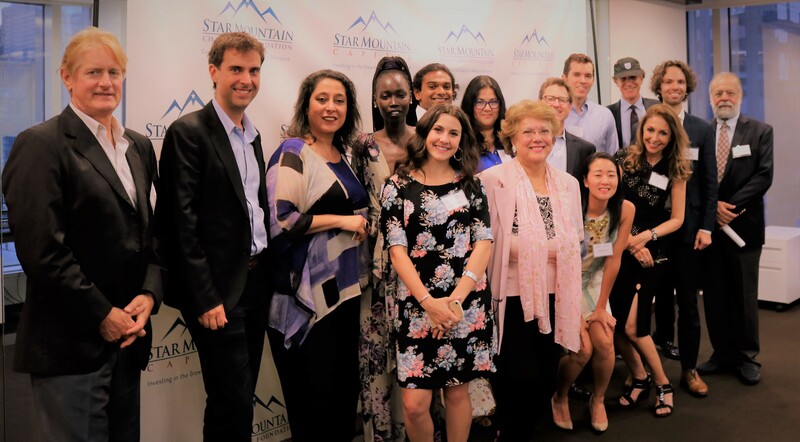 Star Mountain thanks all attendees for a wonderful evening of networking, and is proud to have had the opportunity to bring together such a unique group in the humanitarian community.